The Big Bang model has been the prevailing theory of the origin of our universe for the past 50 years. Today’s scientific community supports the idea that the universe is expanding and that it, in simple terms, began with the rapid expansion of a hot and dense primordial singularity. The universe we now know formed over the following 13.8 billion years. 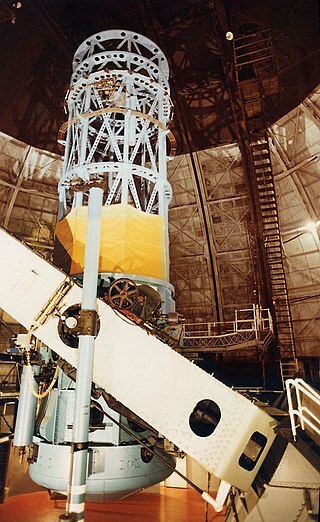 Most people believe that the seminal astronomer Edwin Hubble was the pioneer in early research on this breakthrough. In 1929, Hubble’s research on the increasing distances between galaxies showed that the universe is expanding and this fact became the foundation of the Big Bang theory. Although Hubble played the crucial role in proving the notion that the universe is expanding, he was not the first scientist to propose the idea of an expanding universe. This idea originated with Georges Lemaître, a prolific Belgian astronomer, and physicist who also happened to be a devout Roman Catholic priest. Lemaître was born in 1894 and attended the engineering school at the Catholic University of Louvain, but his education was interrupted by the beginning of World War I. He became a priest after experiencing the horrors of trench warfare as an artillery officer in the Belgian army. After the war, Lemaître continued pursuing a career in physics and astronomy. In the early 1920s, he earned a graduate degree in astronomy from the University of Cambridge and a doctorate at the Massachusetts Institute of Technology. Many people might expect that the religious authorities of the Catholic Church reacted negatively to a priest being heavily involved in the scientific research on the origins of our universe. However, the reality was quite different. Einstein’s hypothesis of a finite-sized static universe didn’t correspond to the Catholic view on cosmology because it implied that the universe had no beginning. On the other hand, Lemaître’s theory appealed to the Church, because it implied that something existed prior to our universe and that some kind of force was needed for the universe to form from the primeval atom. 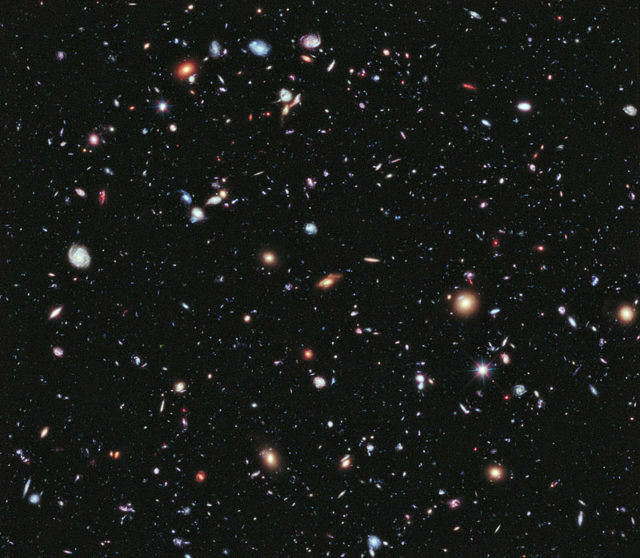 Hubble Deep Field; distant galaxies observed by the Hubble telescope. Each light speck is a galaxy – some of these are as old as 13.2 billion years. The universe is estimated to contain 200 billion galaxies. Portrait of Pope Pius XII. 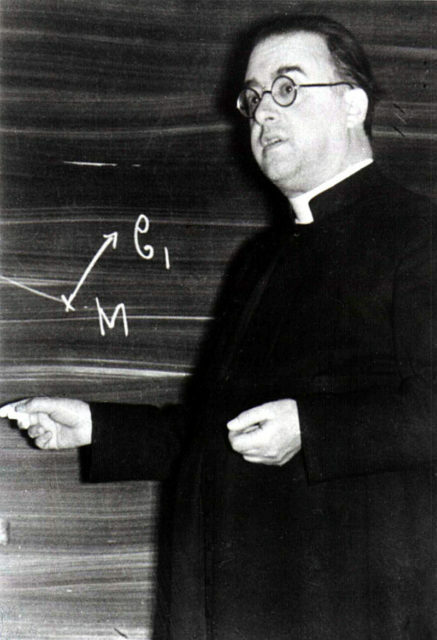 Many Catholic astronomers and physicists, including Lemaître, objected to the Pope’s statement because it relied on an unconfirmed scientific theory to praise the existence of God. 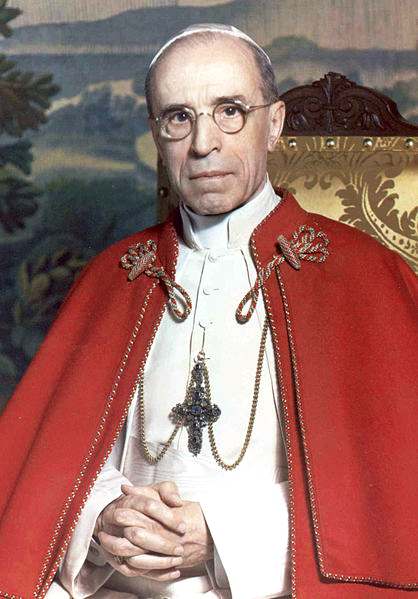 Although Pope Pius XII continued to praise the Big Bang theory, he refrained from praising it in public. 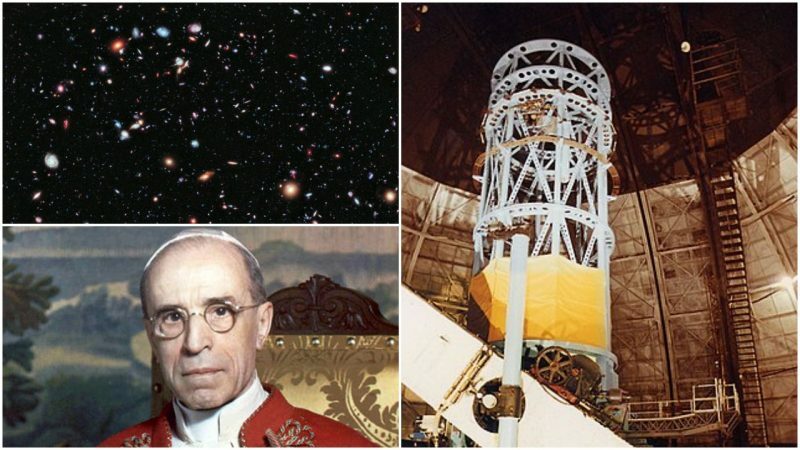 Lemaître remained a devout Catholic for the rest of his life and stated that the Big Bang theory was only a part of the scientific search for cosmological truth and that it cannot be seen as a proof of the existence of God. He also stated he would continue believing in God even if the theory turned out to be wrong.